Dorma Hüppe′s Moveo® is a new generation of movable walls supplied exclusively by Style Partitions. 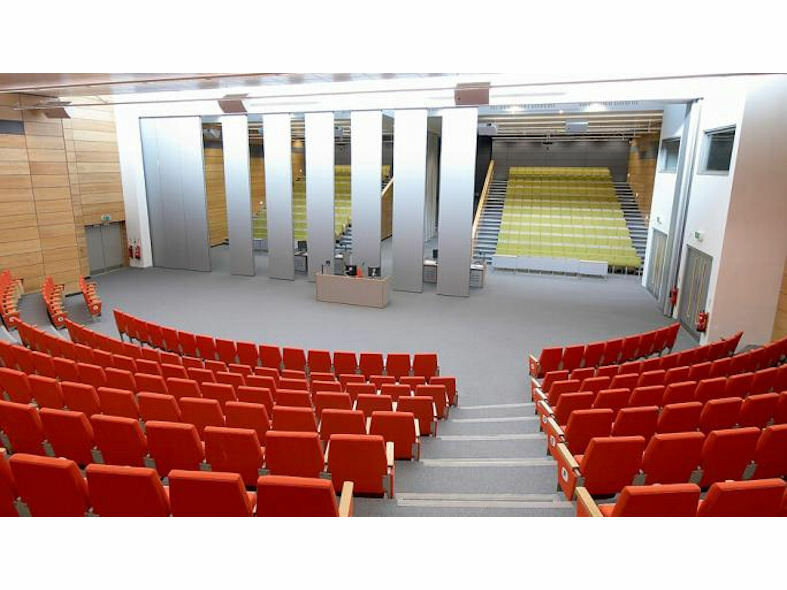 Dorma Moveo® incorporate ComforTronic® automatic seals as standard allowing the operable walls to function at a faster pace whilst continuing to ensure their acoustic integrity. Dorma Moveo®'s lightweight design makes even the largest moving wall panel easy to manoeuvre reducing structural support requirements. 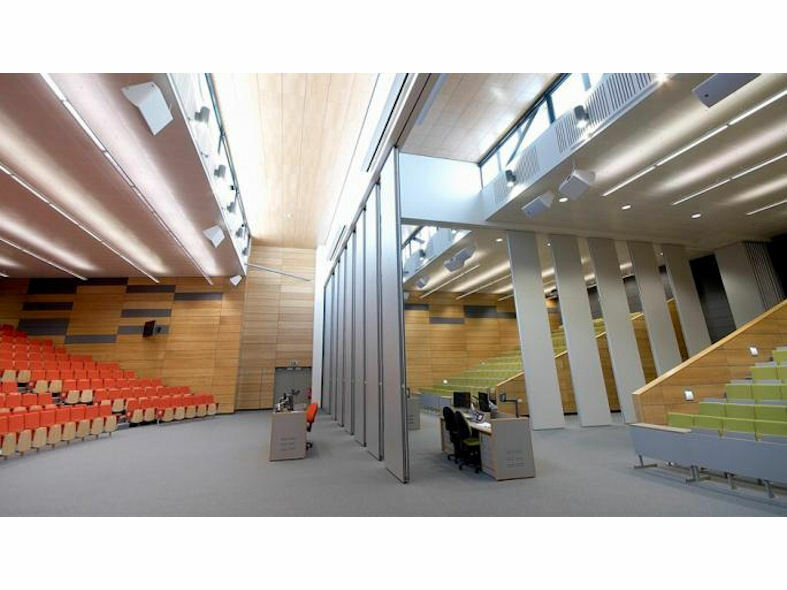 Weighing less than half that of a conventional acoustic movable wall, the Moveo® panel is available with a single point suspension up to 3 metres high and a double point suspension up to 9 metres high. Moveo® also offers effective smoke control and meets with the current European standards for sound reduction up to Rw55d?. Available in almost any finish including polished wood veneers and laminate the Dorma Moveo range is complimented with additional features such as acoustic sound absorption boards, magnetic display boards, dry wipe marker and projection surfaces. 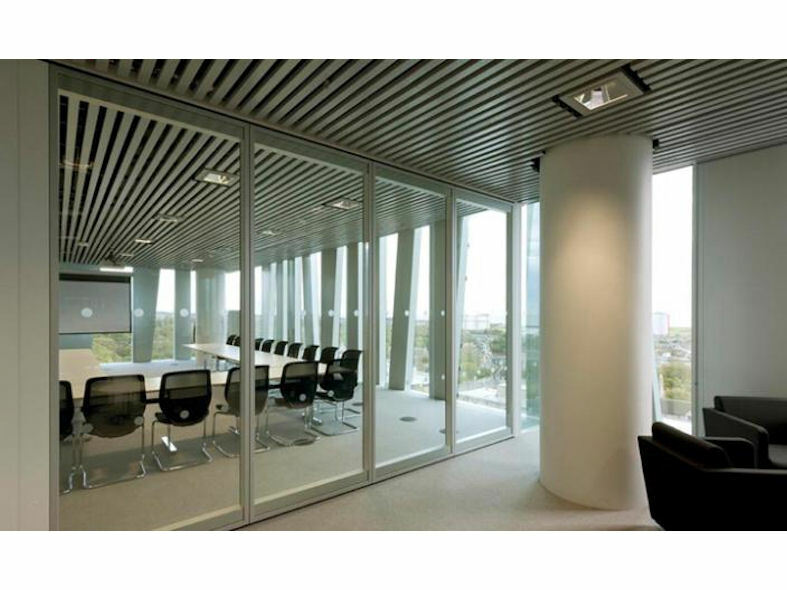 In combination with standard panels, Moveo® Glass allows daylight to penetrate partitioned rooms whilst continuing to maintain a high acoustic performance. Where privacy is required automatic remote controlled blinds can be installed. Dorma Moveo® is the perfect solution to all your partitioning requirements. New Product Launch - It’s Magic! 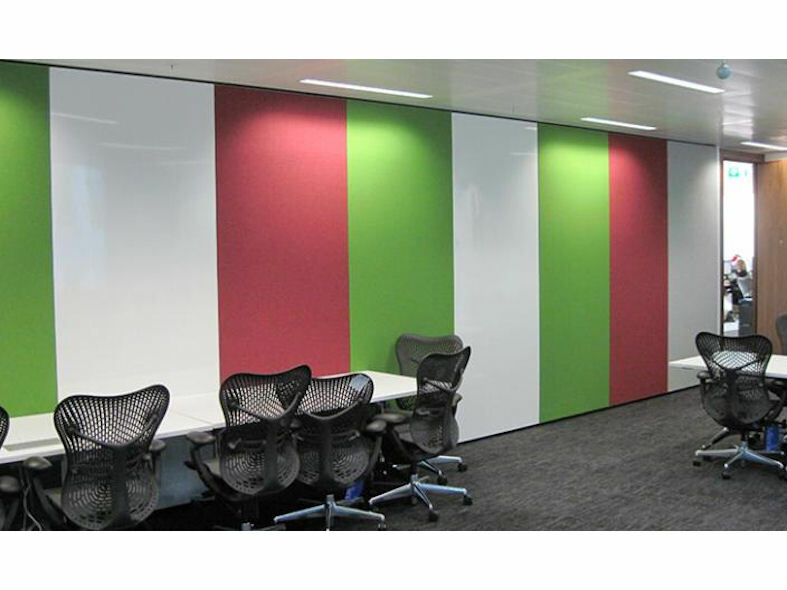 Looking for moveable wall panels to fit existing tracks? Style has a solution!